President Trump has removed Anthony Scaramucci from his new job as communications director, on his 11th day on the job -- he was named to the position on July 21. "Anthony Scaramucci will be leaving his role as White House Communications Director. Mr. Scaramucci felt it was best to give Chief of Staff John Kelly a clean slate and the ability to build his own team. We wish him all the best," White House press secretary Sarah Huckabee Sanders said in a statement. Scaramucci was escorted out of the White House, a source told CBS News. This comes the same day that retired Marine Corps Gen. John Kelly was sworn in as the new White House chief of staff. The New York Times first reported the development, which said that Kelly asked Mr. Trump to remove Scaramucci from his role. The report added that Kelly also made clear Monday morning that he's now in charge. Kelly wanted "more structure, less Game of Thrones," a source close to the White House told CBS News. 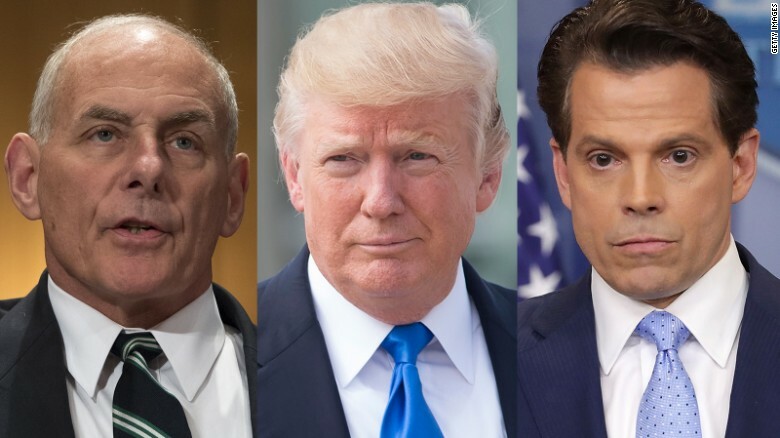 The source added that Kelly will have far more latitude than Reince Priebus & did a good job negotiating terms of his service -- "either I'm a chief of staff in name, or I'm the chief of staff." Scaramucci had previously bragged that he would report directly to the president rather than the chief of staff. Just hours earlier, the president tweeted that there is no chaos at the White House. As the news began circulating Monday afternoon, outgoing press secretary Sean Spicer came out of his office where he had huddled with various people. He joyously asked, looking at a dozen or so reporters in the hallway, if there was a surprise party. At a Cabinet meeting earlier in the day, Mr. Trump said, "I predict that General Kelly will go down, in terms of the position of chief of staff, one of the great ever. And we're going to have a good time, but much more importantly, we're going to work hard and we're going to make America great again."